Jesse is the co-founder and visionary CEO of The Healthy Back Institute®, the world-leading source of natural back pain solutions. His mission as a former back pain sufferer is to help others live pain free without risky surgery and dangerous pharmaceuticals. Jesse’s earned certifications include Post-Rehabilitation Specialist, Specialist in Performance Nutrition, Advanced Level Fitness Trainer and Master Fitness Trainer. Yet that was only the start of his ongoing journey of discovery. Jesse’s passion for helping others find relief and improve their lives has led him to travel the world and interview nearly 100 world-renowned health experts in search of natural solutions for pain and improved health. As a personal trainer and post-rehabilitation specialist, Jesse’s hands-on work helped hundreds of clients with special conditions including stroke recovery, Parkinson’s and back pain. His success at helping his clients avoid back surgery led him to collaborate with massage therapist Steve Hefferon and a hand-selected board of medical advisors to create the world’s first self-assessment and self-treatment program for back pain and sciatica, the Lose the Back Pain® System. Today Jesse is recognized worldwide as a leading back pain expert and natural health researcher. 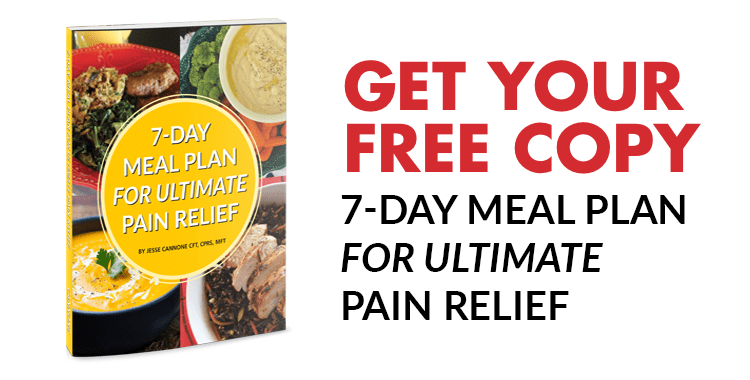 His cutting-edge Live Pain Free® print publication with monthly CD interviews and instructional DVDs along with his free Less Pain, More Life email newsletter are enjoyed by a combined 400,000 readers every month. Jesse has been featured in dozens of magazines and newspapers, including Men’s Fitness, The Chicago tribune, Natural Bodybuilding, Woman’s World, Entrepreneur and The Washington Examiner. He often appears as a guest on a variety of radio and television programs, interviews and health seminars. Over the past decade, Jesse has introduced millions of people in over 100 countries to a better way of living pain free through improvements in mind, body and diet. His desire to help even more led him to write and publicly offer 1 MILLION free copies of his groundbreaking book, The 7-Day Back Pain Cure. A loving father of eight, Jesse understands the importance of balance in life. When he’s not hunting down new products and ways to eliminate pain, improve fitness and excel in every area of life from business to personal relationships, you’ll likely find Jesse mountain biking, practicing Muay Thai or out looking for adventure and wisdom near his home in Austin, TX. To book call 800-216-4908 or email media[at]losethebackpain.com, available Austin, TX and nationwide by appointment. SI Joint Treatment SI Joint Treatments – get lasting relief from Sacroilacc pain with this simple SI joint exercise treatment.